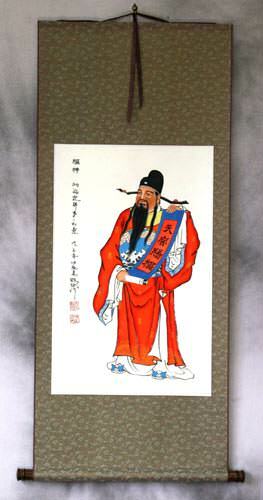 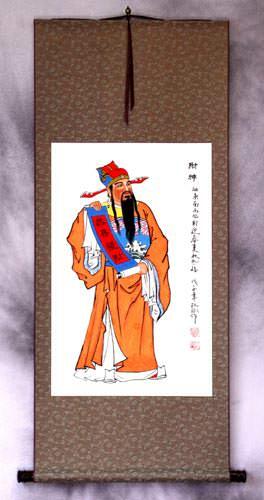 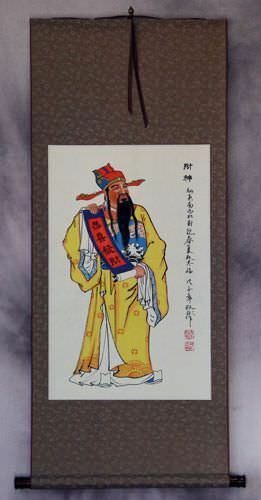 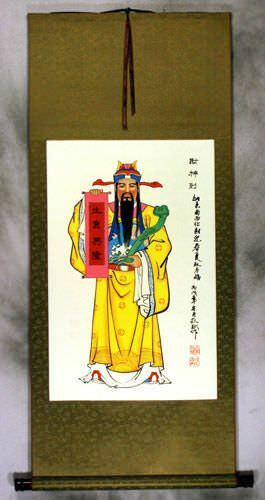 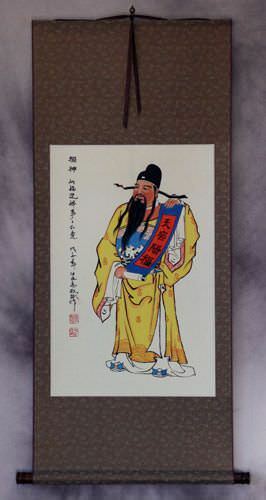 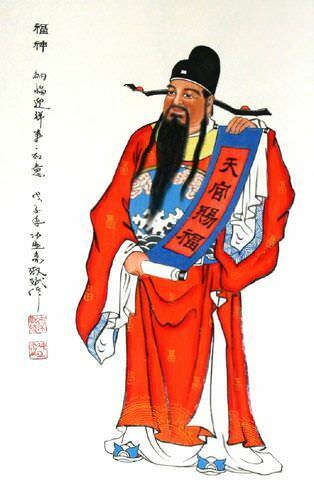 This is "Fu Shen", the "God of Happiness". 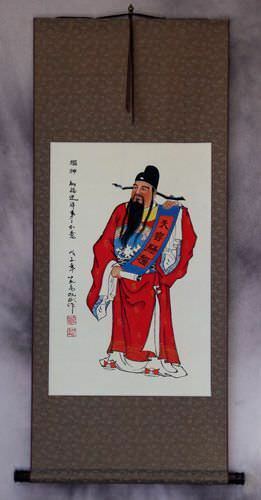 You could also translate this title as the "Good Fortune Saint", but there is another saint who can also be titled that way in English. 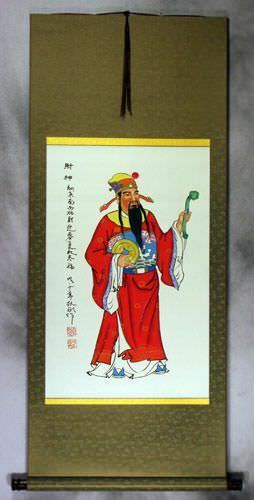 Hanging this on your wall is believed to bring your household happiness and good fortune. 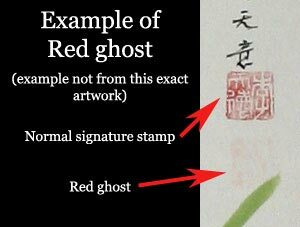 This wall scroll is discounted because of a very minor red ghost.